First lady Michelle Obama delivers remarks during an event celebrating the 2011 Major League Baseball World Series champions St. Louis Cardinals. 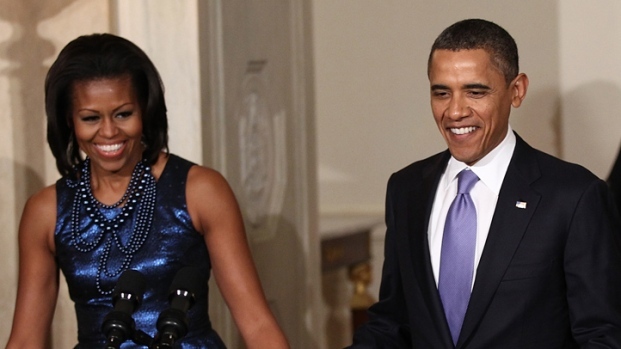 President Barack Obama took first lady Michelle Obama out for a night on the town to celebrate her 48th birthday. The president and first lady dined Tuesday at BLT Steak not far from the White House. They were joined by White House senior adviser Valerie Jarrett and friends. The restaurant told News4 that it made steak and seafood dishes for the party that weren't on the actual menu. This wasn't the first time that Michelle Obama dined at BLT. She ventured there in April 2011 and, wouldn't you know it, ran into Capitals star Alex Ovechkin. He tweeted a photo of their BLT encounter. And did you know that BLT (which stands for Bistro Laurent Tourondel) features "Obama burgers" as one of its specials? The POTUS burger is $28 for an 8-ounce Kobe American burger with cheddar cheese, bacon, burnt tomato ketchup and spicy scallion mustard. 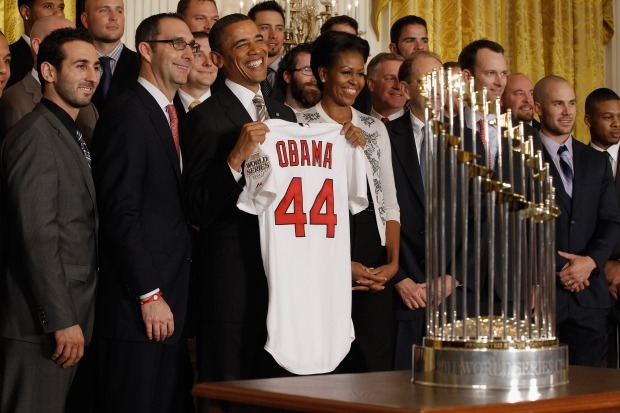 Earlier, with his wife at his side, the president gave her a lighthearted compliment at a White House event celebrating the St. Louis Cardinals' World Series victory. “When we first married, it was a little controversial that she was 20 years younger than me, but now it seems to have worked out OK,” he said. 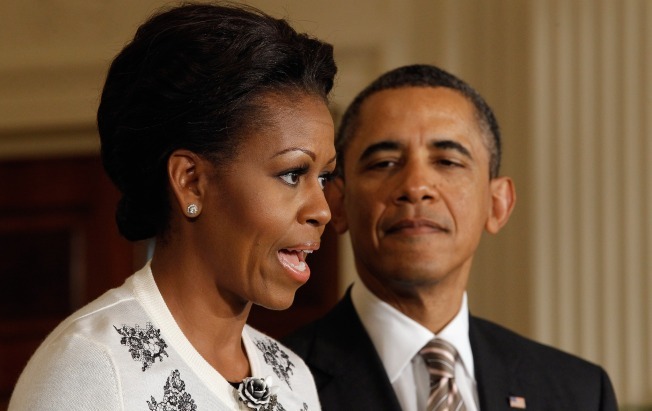 Mrs. Obama spoke up to say she's 48. The president is 50.